Single Search Box: Just one box for searching (e.g. like Google or Amazon). No more separate Author/Artist and Title boxes. Just enter (part of) the author/artist’s name and (part of) the title and you will get the best matching results (see screen shot below). More screen shots: for Book Collector / for Music Collector. Bernard, our macOS developer, is now working on Comic Collector for macOS, to bring a better Add Comics screen there too. Coming up soon! After the switch to fully secure HTTPS connections, we received regular reports about seemingly random Access Violations in the software, sometimes after adding movies, some users reporting “AV errors” after editing. After many support conversations with helpful users, we finally found out what the problem was: a dodgy 3rd party HTTPS component. So we have now replaced that component with a better, more modern one, which seems to have resolved all Access Violation problems. Funnily enough, the replacement HTTPS component also fixed a long-standing problem in the Find Cover screen, that is, some images resulting in “Image could not be loaded” errors. It turns out that the problem was caused by websites using a new HTTPS version that our old component did not support. So, two birds, one stone! 2019 is still a few months away, but at the CLZ HQ preparations have already started for the upcoming v19 releases, for both Windows and macOS! 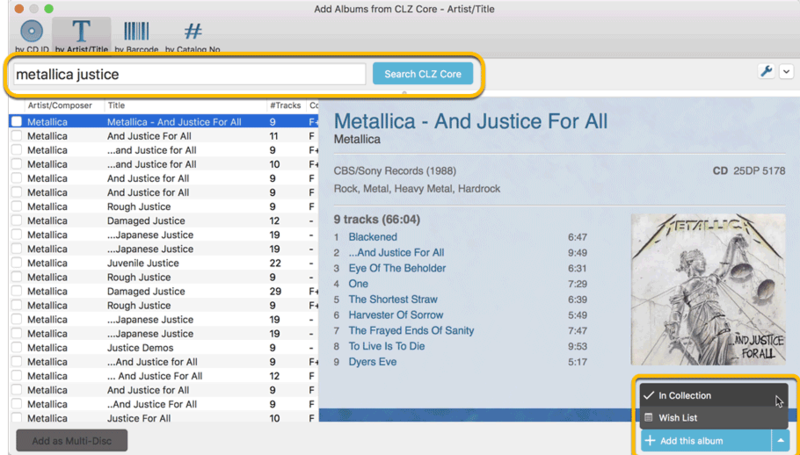 No more need to use “Upload to CLZ Cloud” on your customized front cover images. If you replace a Core image, it will automatically be flagged as “custom image”, resulting in automatic upload to the CLZ Cloud on the next sync. Finally a good solution for users that now maintain multiple database files, but can only sync one to the CLZ Cloud and the CLZ mobile app. A new look and a flexible layout that is more suited for wider panels. Most users love the new Box Set feature, where it automatically creates entries for all movies contained. But some people absolutely hate it :-(. So for v19, we will make this a choice. A 64-bit version will result in a more faster and more stable environment for 64-bit Windows versions, especially for very large databases. (our macOS editions have already moved to 64-bit earlier this year). ETA: for the Windows v19 releases, we’re aiming for December 2018. The macOS editions will be released a bit later, say “early 2019”. The Folder and Sort options are now easier to find, as they are integrated in the main screen list (previously in the View menu top right). The “Selection Mode” command in the View menu has been removed. To start selection mode, just tap and hold on an entry in the list. Because of the above, the View menu became empty, so it has been removed completely. Less is more! 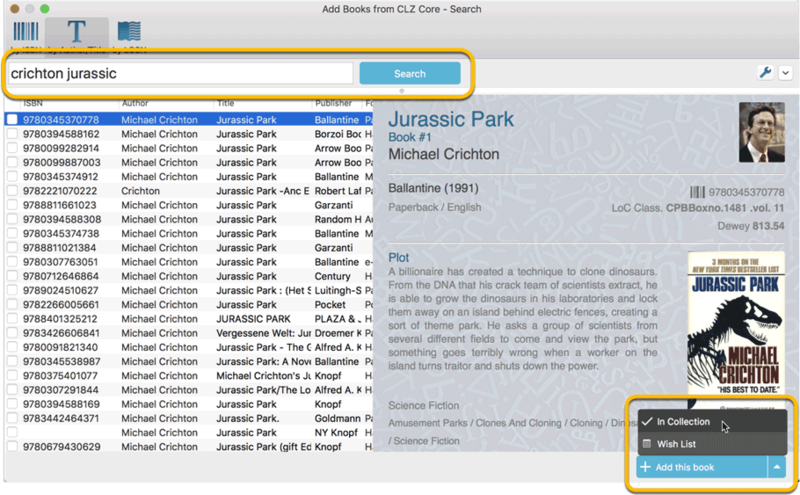 Through the years, our CLZ Core central online databases have grown bigger and bigger. On top of that, with the explosive growth of both Connect and the CLZ Cloud, our cloud databases are enormous. Our server park (20 servers!) was dealing with the increased load without problems. However, because of the sheer volume of data, our daily Core and Cloud backups have gotten slower and slower. This has been causing daily slowness and sometimes even short downtimes between 1AM and 5AM EST. So… to solve this backup problem once and for all, we added FIVE (!!) extra CLZ servers, five live “replicas” of our 5 Core/Cloud servers. Starting this week, we are now running the daily backups from those replicas. Which has completely resolved the daily slowness during the backups! New setting for the List View: Wrap column content Yes/No. New Date Format setting, with 16 choices for date displaying. Core IDs can now be added as columns in the List View. Coming up for Connect: SKINS! We’ll give you multiple options for customizing the complete look of your Connect software: Default (the way it is now), Dark, Light, maybe even more. ETA: within 2 weeks. For some users, the advanced and fully customizable Collector desktop software is the better choice, for other users the easy-to-use and portable Connect web-based software is the right solution. To give you all complete flexibility, we have introduced our “trade-in” deals, for switching from Collector to Connect or vice versa. For more information: Collector or Connect? Desktop or Web-based? Which one is best for you? FYI: our trade-in offer does not expire, this is a permanent deal!